A Mall is an enclosure where differences breakdown into a homogenous experience of enjoyment and comfort. It gives easy access to all that you need to make your living warm pleasant. Bluemarine Mall in no exception. 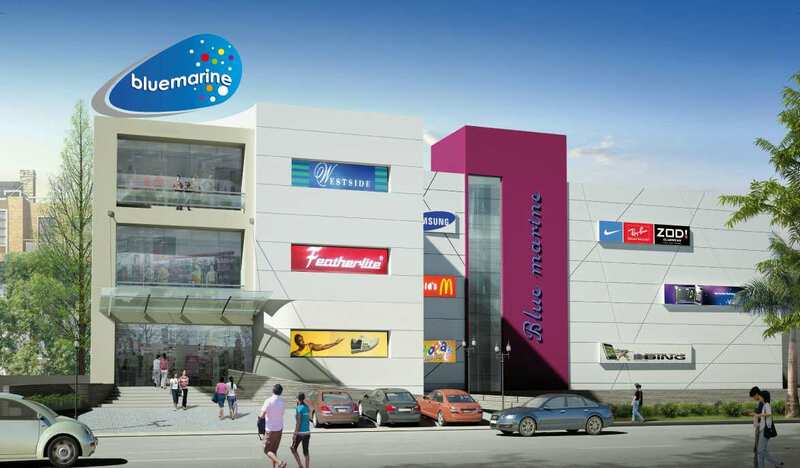 Bluemarine Mall features state of the art technology for Mall engineering and comforts. It is strategically located on the Payyanur main Road just off the Perumba petrol opposite Payyanur Bus Terminal at the Eastern intersection of the NH-17-Perumba. Payyanur with its rich cultural tradition is opening up as the Naval Academy and the CRPF training Centre function as gateways to a multi cultural experience that necessitates cultural linguistic and communal harmony and understanding. Also many came back after their exposure to modern markets,shopping centres and international standards of living to settle down in their native town. Hence the line between the national and the international is getting narrower every day and people are becoming brand conscious and quality conscious when it comes to making important choices in life.